STRUCTURE - Little room made of wood with a dirt floor. Ivan and Aurelia met in Ensenada when both of them were working in a sewing factory. Aurelia already had Jose from her first marriage and she had left Jose's father when he didn't fulfill his duties as a provider. She has not seen him since then and receives nothing from him financially. Ivan married Aurelia at the courthouse and accepted Jose as his own son. Jose was almost three years old when his mother and Ivan got married. Before buying their piece of property, they rented a house for $60 USD a month, but that was difficult for them, so they decided to buy a tiny piece of land through credit. Up till now, they have been paying off their land and now only owe $1,462 USD of the $2,016 USD that it cost them to buy it. Ivan works at an assembly factory assembling medical products. He works Monday to Friday, from 5pm to 2am and earns $69 USD weekly. Their family lives in a little room that Ivan bought the products for and built himself. The roof is made from wood planks and a tarp, and a dirt floor. Their property comes with electricity but there is no water, so every two days they have to buy water. A container of water costs them $1 USD so they pay $4 for 4 containers. 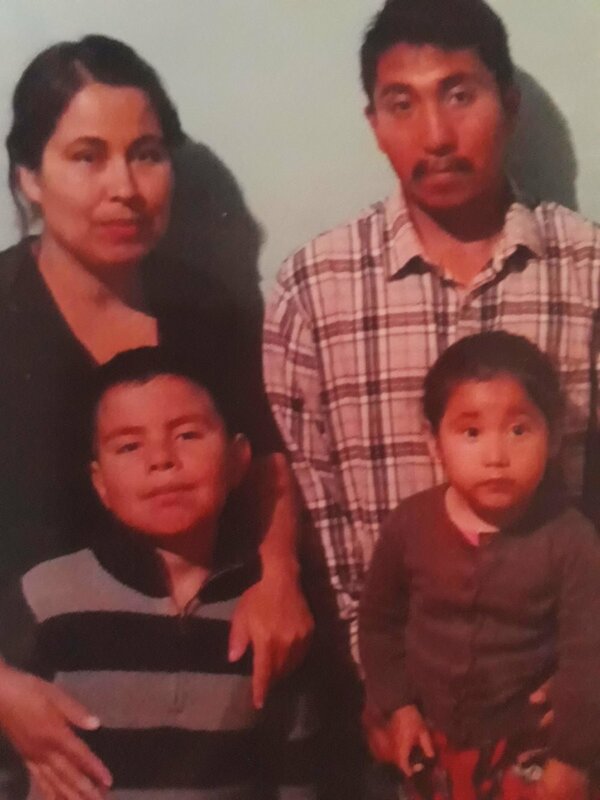 Ivan and Aurelia desire to have a home for their children and as a family so they can overcome their situation.